Christians have identified a wealth of symbolism in its form. The sharpness of the leaves help to recall the crown of thorns worn by Jesus; the red berries serve as a reminder of the drops of blood that were shed for salvation; and the shape of the leaves, which resemble flames, can serve to reveal God’s burning love for His people. Combined with the fact that holly maintains its bright colors during the Christmas season, it naturally came to be associated with the Christian holiday. In heraldry, holly is used to symbolize truth. The Norwegian municipality of Stord has a yellow twig of holly in its Coat-of-arms. The Druids held that “leaves of holly offered protection against evil spirits” and thus “wore holly in their hair”. In the Harry Potter novels, holly is used as the wood in Harry’s wand. 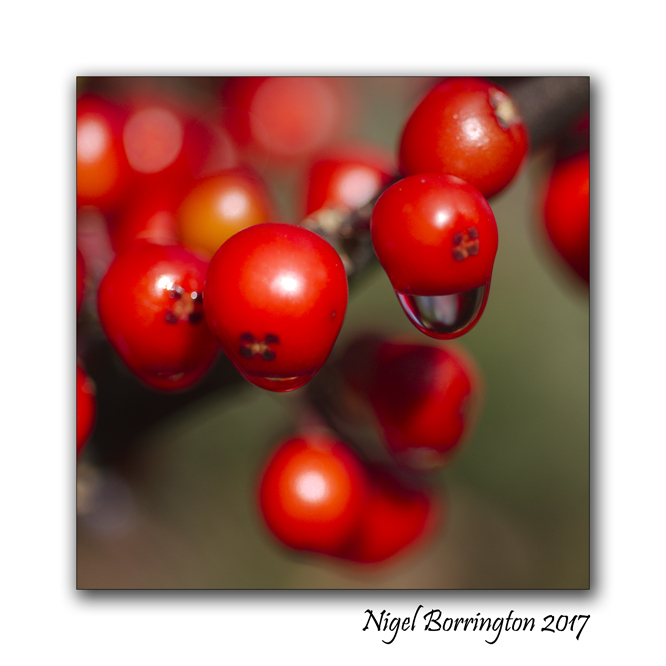 This entry was posted on December 16, 2017 by nigel borrington. 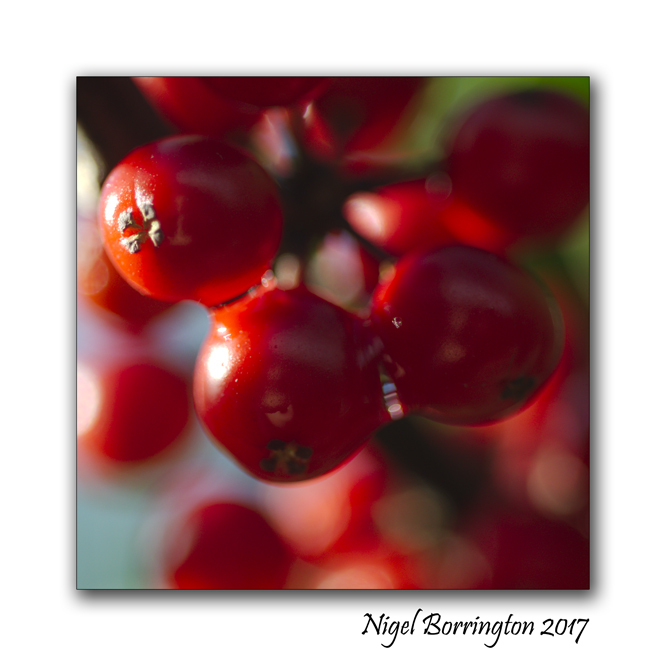 It was filed under a closer look, Gallery, irish woodlands, macro photography, Nature and Wildlife, Winter colour and was tagged with Ballykeefe woods, county Kilkenny, Holly berries, Nigel Borrington. Enlightening, as always. Who knew there was so much history to holly?